Rejeski and Kenney offer fitness practitioners a comprehensive book on exercise motivation and adherence. The authors recommend this book for exercise leaders, program directors, health club administrators, those involved in the development, operation, and evaluation of corporate wellness programs, and others concerned about making the most of fitness activities. This book attempts to answer questions and address issues such as; how to deal effectively with motivational problems; ways to make exercise more enjoyable; appropriate exercise prescriptions; and preparing clients for exercise. Although the book is based on sound research and theory, the authors rely heavily on their years of experiences in preventative and rehabilitative programs in both university and corporate settings. "Clients will begin and maintain exercise only if the outcomes of the behavior are valued. For each individual, it is important to consider how exercise might compete with other interests and/or responsibilities of daily life." 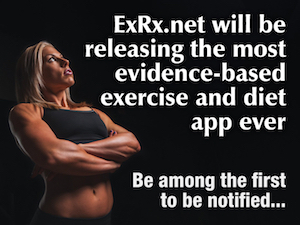 "You should analyze whether probable outcomes of an exercise prescription are consistent with clients' personal needs. It is also important to establish realistic levels of goal attainment for each client, to question whether these are in fact reinforcing, and to counter problems associated with the delayed rewards of physical conditioning." "You should establish and reinforce the proper balance of intrinsic and extrinsic rewards. A potential danger of extrinsic reward structures is that they will lead to non-compliance when the reward is no longer available. The real problem occurs when clients believe that extrinsic rewards are being used to control them rather than to inform them that they are doing well." "You should ensure that clients believe that the prescribed fitness activities will produce the desired effects and that they have confidence that these effects can be produced if they behave as directed." "Always consider the role of outcome expectancies and self-confidence in determining behavior. A client's decision to participate in a fitness program can be compared to a cost-benefit analysis. Beliefs in specific cost and benefits become more influential, depending on their worth to the individual." "You should closely examine what clients believe they have to do to attain desired goals. It is important to shape these beliefs and subsequent behaviors so they are consistent with constructive exercise prescriptions." "You should learn how to build on positive and to counter negative social influence. Consideration must be given to significant others (e.g., the family), as well as subcultural factors." "You should address the potential conflict between what clients think or feel about exercise prior to a fitness program and reactions following adaptation of the behavior." "You should be aware that the passage of time is always a threat to the value of a given behavior or to established priorities." "You should program activities to match stages of the life cycle. What people think and their personal needs change with life." "Take advantage of first impressions." "Give clients an opportunity to tell their story." Chapter 4 offers suggestions for building and repairing commitment. Chapter 5 describes how to use goal setting and feedback. Finally, chapter 6 discussed specific components of exercise setting. Topics include, behaviors of exercise leader, use of reinforcements, motivational props, and physical setting. Fitness Motivation: Preventing Participant Dropout is highly recommended for fitness practitioners or anyone involved with client motivation and adherence. A major strength of this book includes its practical approach in explaining the authors' concepts. Often concepts or points were followed by a case study or pertinent example illustrating the idea in a practical setting. The text was very easy to read yet filled with wealth of excellent ideas and illustrations. The authors included several cartoons which were not only entertaining, but added meaning and accent to some of the major concepts presented in the book. For readers seeking a comprehensive, well written, and practical book on fitness motivation and adherence, few will be disappointed with this book.